We understand that you want the best for your child and at the Morrison School of Dance, we strive to provide the highest quality of care and to teach dance in a fun and healthy learning environment. Our aim is to provide a positive learning experience for each individual child and to inspire a love of the arts in everyone we work with. All the staff at Morrison School of Dance have themselves excelled in dance before training to the highest standards to teach. All our teachers have Certificates of Public Liability Insurance and Certificates of Garda Clearance to work with young people. As well as their esteemed qualifications in dance, they are also Certified in First Aid and Child Protection Policy. Leighton trained at Arts Educational school, London. After graduating he travelled to Israel to work with Bat-Dor Company where he remained as a soloist for two years. Leighton has performed with companies including English National Opera, Rotterdam Dance Group, Wayne Sleeps Ballet Company, and Vienna Festival Ballet. He subsequently became a member of the English National Ballet where he stayed for three seasons performing in all the major classics. He then joined the hit musical Cats as lead dancer Mistoffelees, followed by Anything Goes and the UK and World tour of Saturday Night Fever. Among various TV and film appearances Leighton has worked with directors including Oliver Stone. 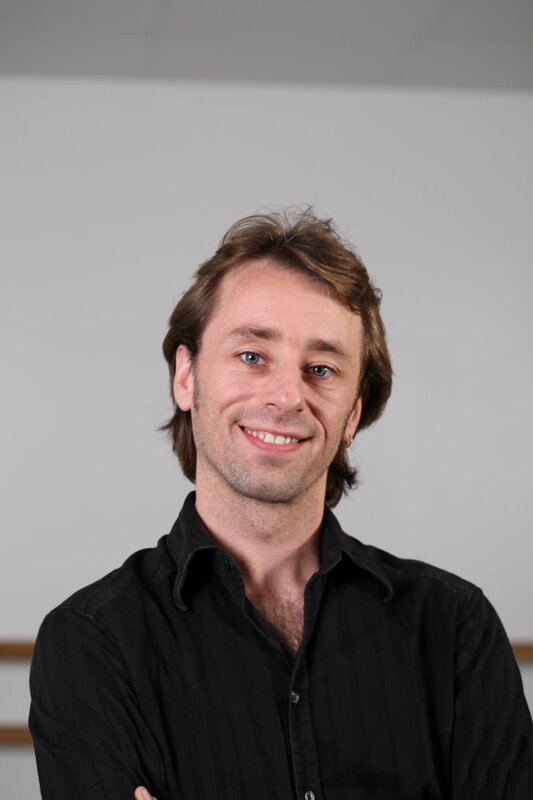 In Ireland he has worked with Ballet Ireland, Cois Ceim, Cork City Ballet, Irish Modern Dance, & Chrysalis Dance. Leighton has taught for the Corrib Dance Academy, Shannon Dance Academy. He has also been choreographer and rehearsal director for Youth Ballet West & Chrysalis Dance. I have a 3 1/2 yr old who loves to dance. is she too young to start pre ballet? 3 1/2 is to young at this time of the year. The children of the school are currently getting ready for their ballet show and exams there for it would be a bad time for anyone new to join, as they would feel left behind. Therefore i feel it would be best to wait until the new school year starts in September. I know that is a long way off. But in my experience, children that feel left behind do not stay and i am sure it would not be good for their confidence. Ballet encourages confidence when children are in the correct class. Thank you Leighton for your response. Hi Leighton i am just wondering what age do the children have to be before they can start pre-ballet? The pre ballet class is for children around 4 years of age. Which school are you looking at? I have a daughter who is 12 years of age. Is she too old to start Ballet classes. Thanks for getting in touch. It is never to late to start dancing. Was it Tuam or Ballina you are looking at? Let me know and i can tell you everything you need to know. There are two classes your daughter could try. 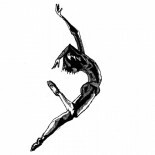 Ballet would be on Tuesdays at 5:45 – 6:45. There is also Zumba Kids on Saturday mornings, 10:45 – 11:30. There are 3 ten week terms per year. Both classes start back in September. Zumba on the 6th @ 75euro per term & Ballet on the 9th @ 80euro per term. If you would like to book a place, just let me know your daughters name. My daughters name is Kelley Gavagan. Where in Tuam do you hold classes please. All classes are geld in the Mercy Primary School on Dublin Road. Classes are held in The Mercy Primary School. Would you like me to book a place for Kelley. I know she is 12. Sorry for the other mail. Your name has chanced from Dee to Delia so i thought you were someone new. Hi Leighton, where can I purchase the blue ballet outfit that the girls wear in your Tuam class? You can get the outfit from the school wear centre in Tuam. Thank you Leighton; I got her the outfit but wasn’t sure if I should get the pink or white tights (Store only had pink in stock). For today she will have regular white tights. Hi Ashling, Thanks for getting in touch. When is your daughter turning 4? Is there a tuam class? Perfect! When does that class return? We have a class is the Knocknacarra National School Starting back next Thursday Sep. 10th. Hi I have a 4 year old who is mad about dancing, is it too late to join your classes on a Tuesday? If i spoke to you on the phone, you can disregard this message. I would recommend that you wait until September when the new class will start for her age group. I hope she will be fine with that. Please get back in touch in the summer. My daughter turned 4 at the end of May. I am looking for information about ballet or preballet for her. We live near Knocknacarra. What is the best age to start ballet? I have a daughter almost 3. My daughter Emma is12 1/2 , she used to do Ballet when she was younger but she had to give it up because it clashed with her GAA every Wednesday, she was wondering would she have to start from the beginning? Is she too old? If you are still interested in trying out a ballet class, your daughter is most welcome to come along and join us in class to see how she gets on. She would be in a class with children of her own age. Can you let me know where you would like to take class, Knocknacarra, Tuam, Swinford or Ballina? so i can give you the correct infomation. I have a four year old boy who wants to learn ballet. Would he be able? Classes for boys in my school are FREE. We have classes in Tuam, Swinford & Ballina. Where would be good for you? Tuam! That’s fantastic! Can I have more info like when/where/what we need? We have two classes in Tuam. both starting back in September in the Mercy Primary School. Tuesday 12th 3:30-4:15 or Friday 14th 3:15-4:00. All he needs is something comfortable to move in. Just let me know what class you want to come to and let me know his name. if there is a friend or two that would like to join his. boys do better when other boys are in the class as well. He feels more comfortable with girls as a whole and makes friends with them more quickly than he would with boys. What phone number could I use to get him in? All you need to do is let me know what day you can make it and his name. Then just turn up to the class.